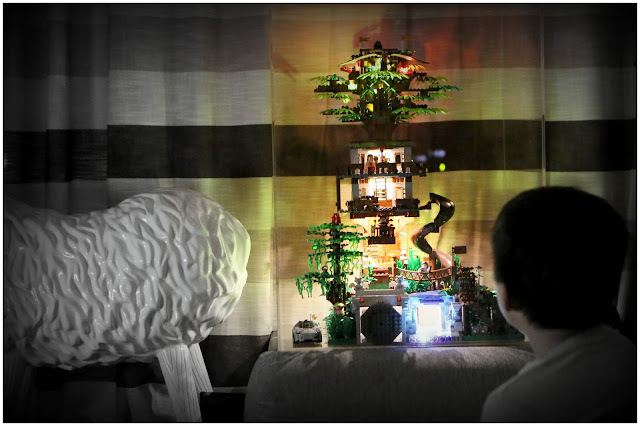 It all began when Kalinda shared her lego tree house with me 18 months ago. 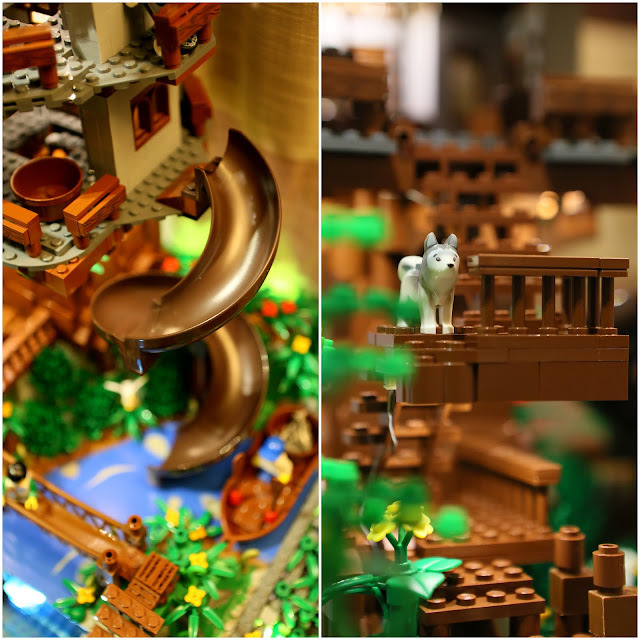 Kalinda and I were in Macau when she bought a mini lego tree house set. Despite being a 100% city-dweller, I find tree-houses intriguing. I guess it is a boy’s fantasy sanctuary. It is like a secret hide-out, tuck far away from the concrete noisy cityscape. I started doodling different tree-house designs. 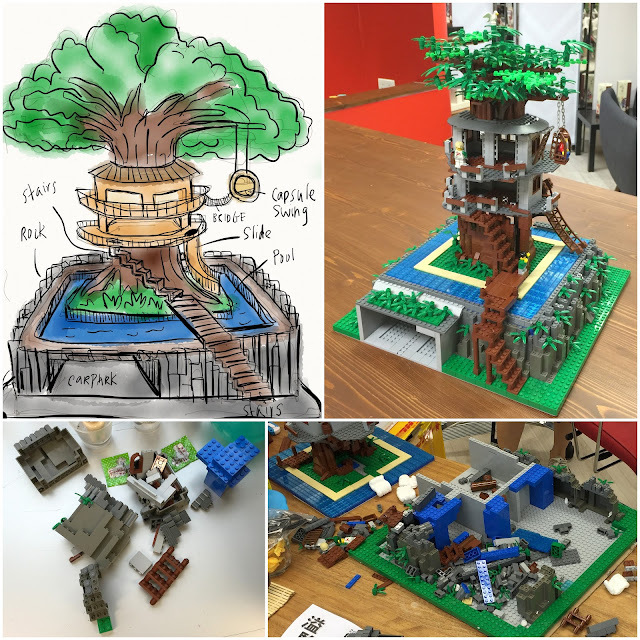 5 months before my boy’s birthday, I decided to design a nice lego dream tree house for Elkan. Getting the right lego blocks is the biggest challenge for me. It’s actually very expensive to buy parts in Hong Kong and Singapore. Some blocks cost as much as HKD10/unit. I calculated that it might be cheaper if I hire someone on ETSY to build one for Elkan and myself. 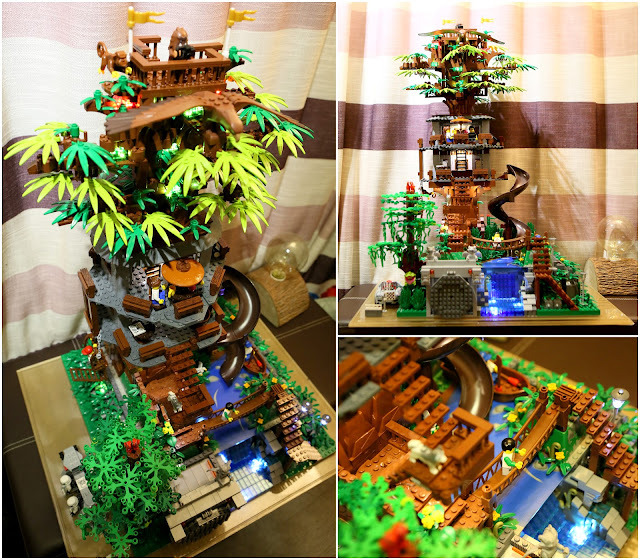 I found a US-based Lego artist on ETSY and paid him USD800 to produce 2 tree houses. However, the experience was dreadful and unpleasant. The artist promised 7 weeks but the entire order arrived 2 months late. Worst, it arrived in broken pieces. It was nothing like the structure I ordered. I had to report the cases to ETSY and got the seller’s store frozen for a couple of weeks until he completed the delivery. 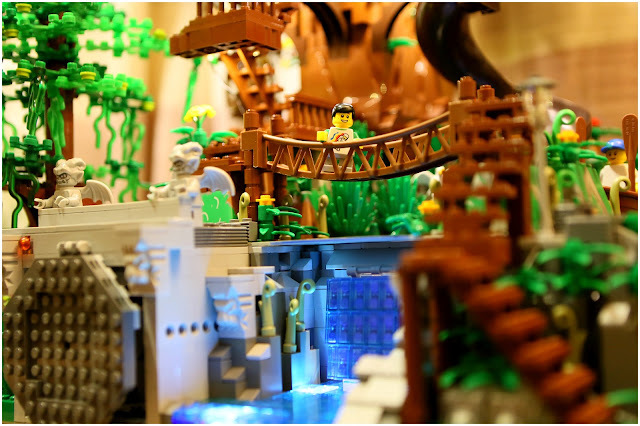 Lego is a great hobby and an addictive one. I found my zen while constructing my tree house. It is a great stress-reducer and it helps me to focus on my thoughts. I relate this to the artistry of bonsai. 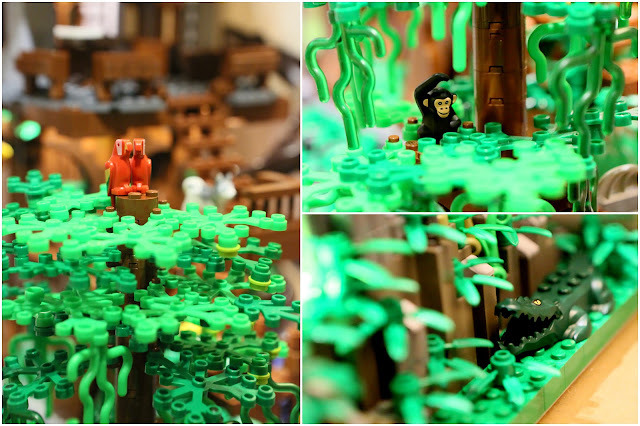 Building lego takes lot of patience and time. It also sharpen one’s aesthetic, problem-solving skills and sense of balance. It is a very rewarding indoor hobby. I decided to tear down the original tree house (as I found it too bare and clean) and rebuild a brand new dream house. I wanted a more rustic version. 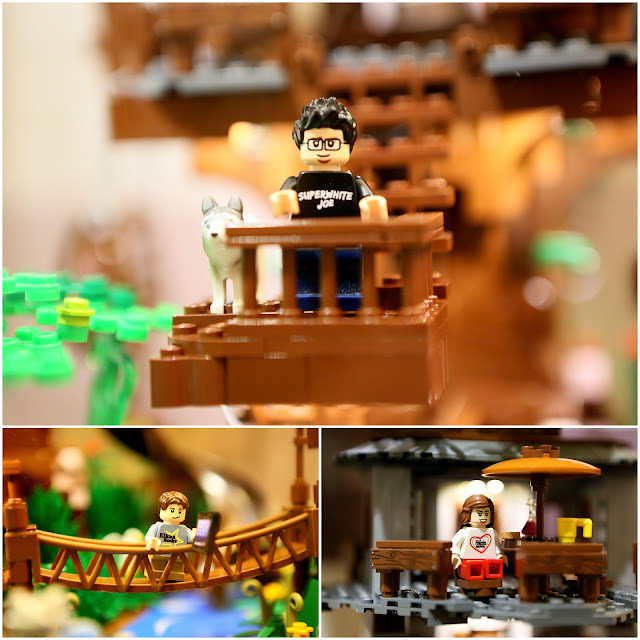 I went to “Lego Paradise” at In’s Point Mall at Yau Ma Tei to pick up new parts and electrical components to furnish the interiors of the tree house. 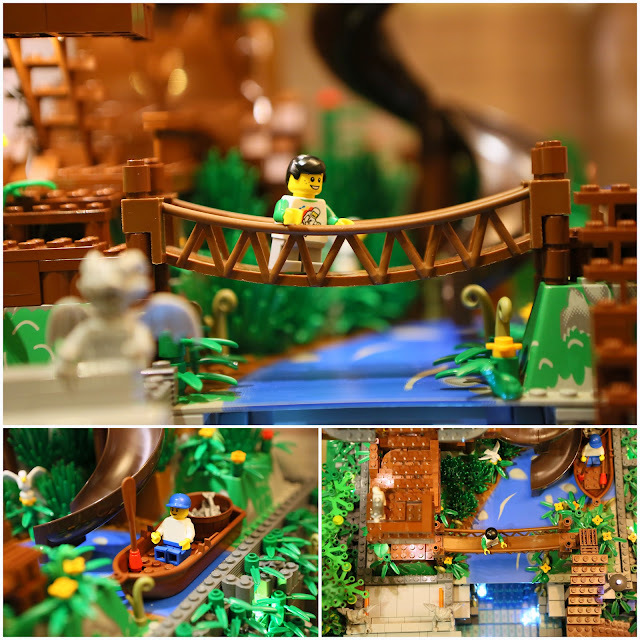 In’s Point Mall is a must-visit destination for all lego lovers! I love the final result. It is simply beautiful and stunning (certainly much better than the original one which I designed). I put in many details into the landscape. 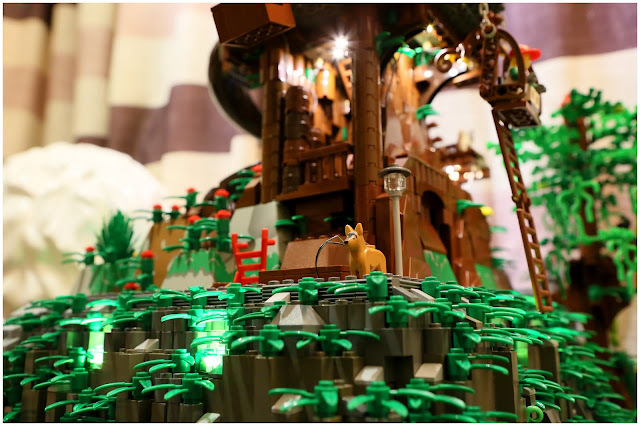 The most challenging task was laying the electrical cables and connecting the lights. The final structure stands 75cm tall, 42cm wide and 52cm deep. 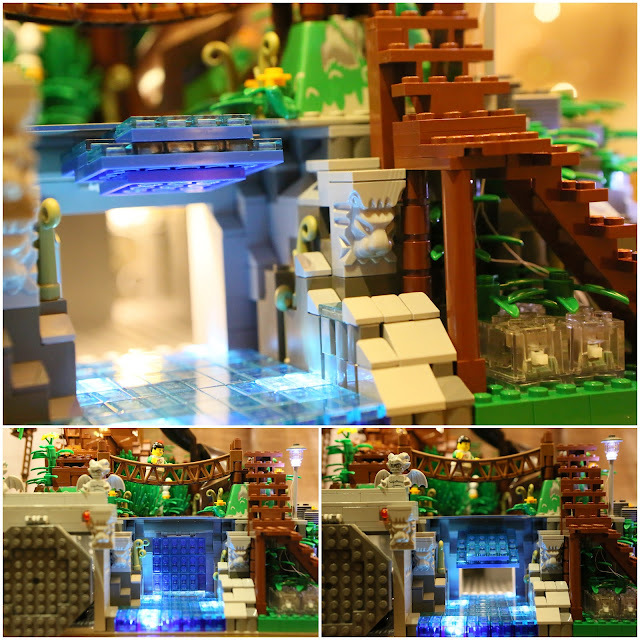 The structure sits by a small stream on a rocky valley. 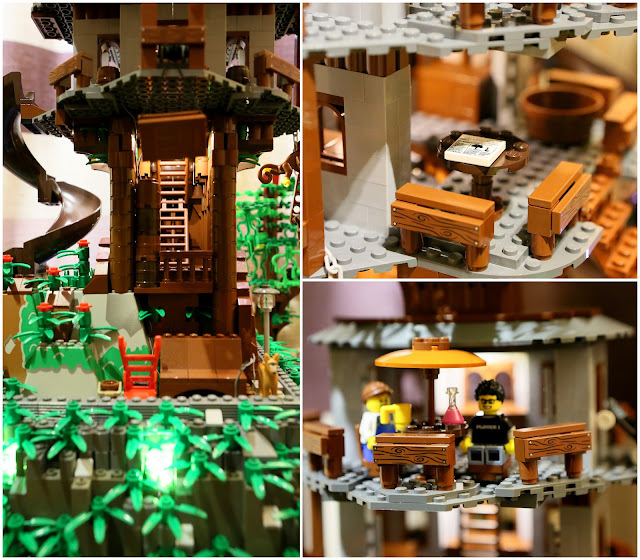 It is a 2-storey tree house with a dual-twist water slide, secret waterfall chamber and an underground bunker. Every section is well connected with footpath and ladders. 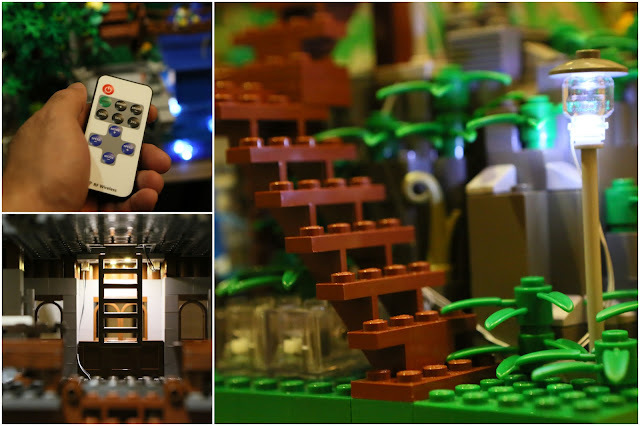 All the interiors are lit with lights (activated by a remote controller!) 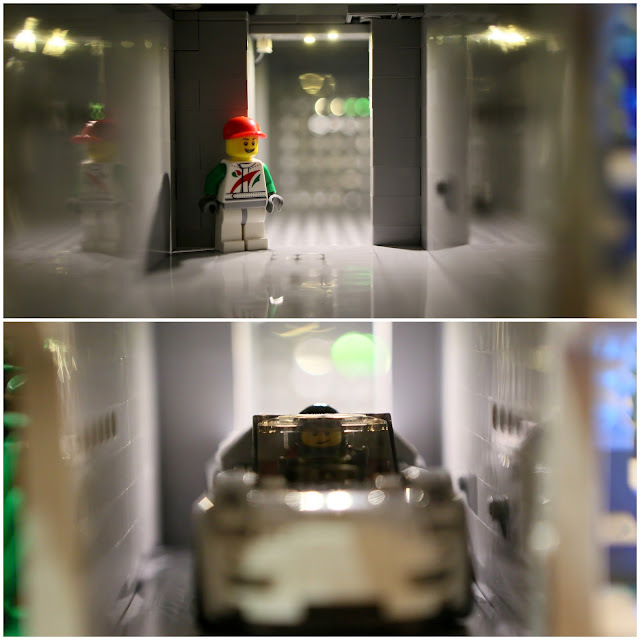 To keep out the dust, I custom-made a giant acrylic box to house the lego. 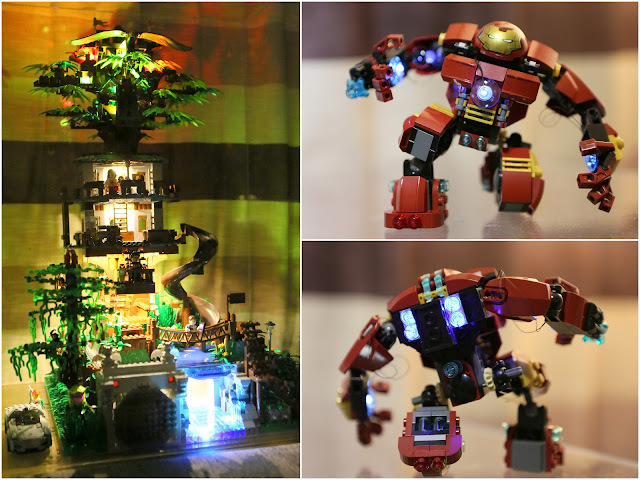 I am already thinking about my next lego project. It will be something close to my childhood love – a multi-terrain caravan with secret compartments, living space and weaponry. amazing – when do you find the time! Hahaha… I did these at late night after work and dinner….from 10pm to 2am daily.